The Telangana government along with TAAPMA (Telangana and Andhra Pradesh Plastics Manufacturers Association) will develop a plastics park at Thummalur on a 110-acre site. It will attract over ₹500-crore investment and provide direct employment to 5,000 people. “Since 2017, the plastics industry in the State attracted ₹1,000 crore investment, providing jobs to 2,000 people. We have given guidelines to municipal authorities on single-use plastics. All plastics are not harmful,” the Minister said. Telangana has selected 14 sectors, including plastics and polymers, as priority areas to promote investment, he added. Hyderabad has 6,000 plastic manufacturing units with a production capacity of 9 lakh tonnes and dominated mainly by SMEs contributing a turnover of over ₹6,000 crore. Use of Plastics is on rise in spite of the hue and cry over it. 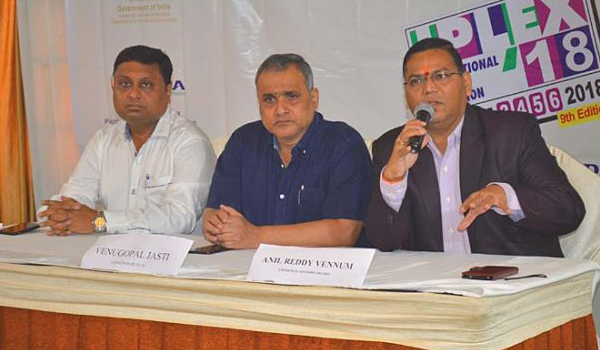 Plastics is omnipresent and it continue to be so until an alternative material is invented, Anil Reddy Vennam, Chairman, Advisory Committee of IPLEX 2018, said.